The iconic Acapulco chair celebrated its 60th anniversary on 2013. A 60-year old has never seen this handsome. The history of Acapulco chair starts with the name – it was named after the lovely and magical coastal town of Acapulco in the coast of Guerrero, Mexico. In the 1950s and ’60s, Acapulco was a hot destination for the jet set. Airline ads and other images from the time depicted a glamorous, fun beach town in full technicolor. The rat pack vacationed there, Liz Taylor got married there, Jackie and John Kennedy honeymooned there, and Elvis Presley filmed his classic movies “Fun in Acapulco” there. And at some point during that era, someone designed the Acapulco chair. Legend has it that a French tourist was visiting Acapulco in the 1953 and was uncomfortably hot atop a solidly-constructed chair in the Mexico sunshine. Inspired by the open string construction of traditional hammocks nearby, he designed a chair fit for the modern tropics. 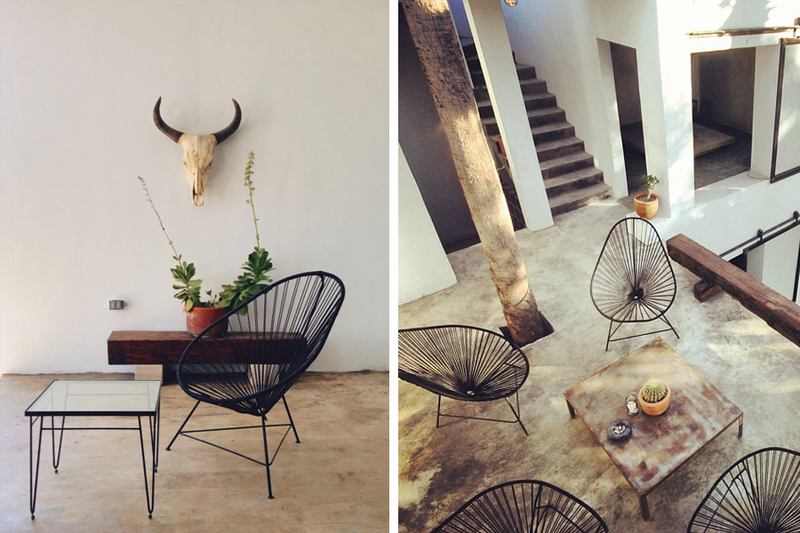 Today the Acapulco chair is an icon of mexican design and brings freshness and coolness to any space where it sits at.